I have been needing a fish-eye lens for my new Canon T2i HDDSLR for a while, so I was stoked when Lensbaby offered to send me their Scout fisheye to review. I had been looking at the verious 8mm fisheyes which provides a 180 degree field of view like the now classic death lens. The Scout is a 12mm lens and not quite as wide with a 160 degree field of view but is a lot cheaper than most fisheyes. As part of Lensbaby’s Optic Swap system, the fisheye optics can be switched out for other optics like pinhole or plastic lens. If you already have a compatible Lensbaby, you can buy the fisheye optic by itself saving around $100. I had been using the GoPro HD hHero for fisheye shots but that has it’s own limitations. Here is an unscientific comparison of the VX-2000 with a century .3X fisyeye, the GoPro, and the Scout. I was impressed that the Scout was made of metal and has a very solid feel. The vignettes on the edges give images an early 90’s feel. The aperture is changed not with a ring like on other lenses but by switching out aperture disks. This requires you to unscrew the front element and drop the disk in place, a bit cumbersome when you are out in the streets but I doubt most people would need to change disks very often. I had a lot of fun shooting with a fisheye again and the Scout will likely be my go to fisheye for the foreseeable future. If you are serious about shooting or filming skateboarding then you’ll want a wider, sharper, more expensive lens. If you are taking a more laid back approach and you think you may use other optics in the Lensbaby system then the Scout is worth considering. 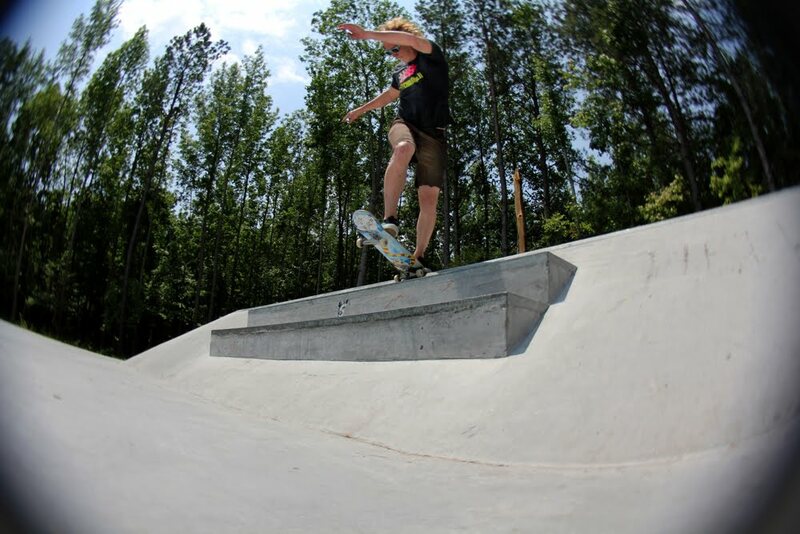 Below are a few skate shots taken with the Scout.